SET-UP/HANDLING CHARGES EXTRA PER UNIT (#899 SET-UP). REQUIRE LARGE CLIPS FOR SKIRTING. 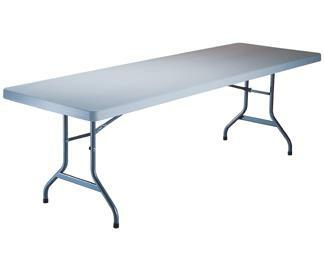 * Please call us with any questions about our table 8ft banquet rentals in Old Town ME, Milford, Bangor, Pea Cove, Eddington, Bradley, Orono, Bangor ME.